The acclaimed writer A. M. Homes was given up for adoption before she was born. Her biological mother was a twenty-two-year-old single woman who was having an affair with a much older married man with a family of his own. 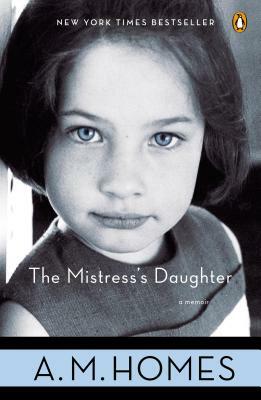 The Mistress's Daughter is the ruthlessly honest account of what happened when, thirty years later, her birth parents came looking for her. Homes relates how they initially made contact and what happened afterwards, and digs through the family history of both sets of her parents in a twenty-first-century electronic search for self. Daring, heartbreaking, and startlingly funny, Homes's memoir is a brave and profoundly moving consideration of identity and family. "A compelling, devastating, and furiously good book written with an honesty few of us would risk." "As startling and riveting as her fiction . . . a lacerating memoir in which the formerly powerless child triumphs with the help of a mighty pen." "Rich in humanity and humor . . . Homes combines an unfussy candor with a deliciously droll, quirky wit. . . . Her energy and urgency become infectious." "I fell in love with it from the first page and read compulsively to the end." "As a memoirist, A. M. Homes takes a characteristically fierce and fearless approach. And she has a whopper of a personal story to tell."